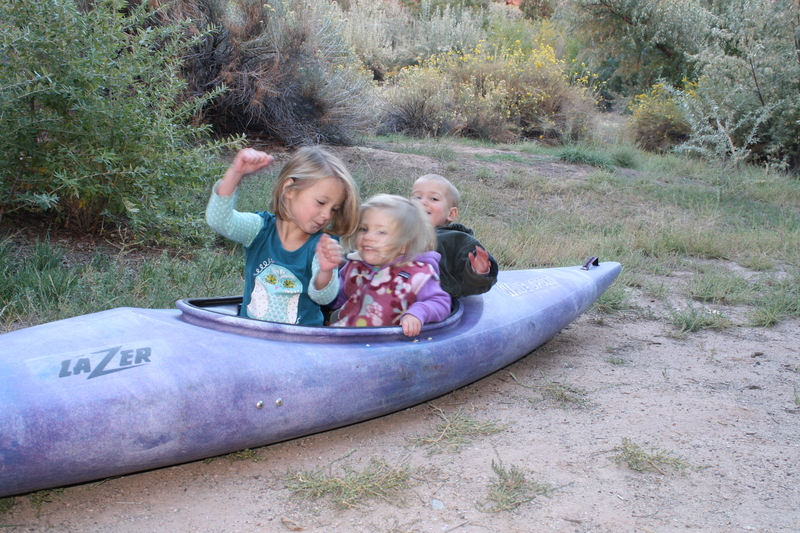 The family headed west to Moab for the weekend to enjoy some camping, running, biking and paddling. As much fun as Ian and I had training, Juniper and Axel had much more fun playing in the dirt with their friends. Tasmania is approaching very quickly so it was awesome for the family to spend an amazing weekend together. 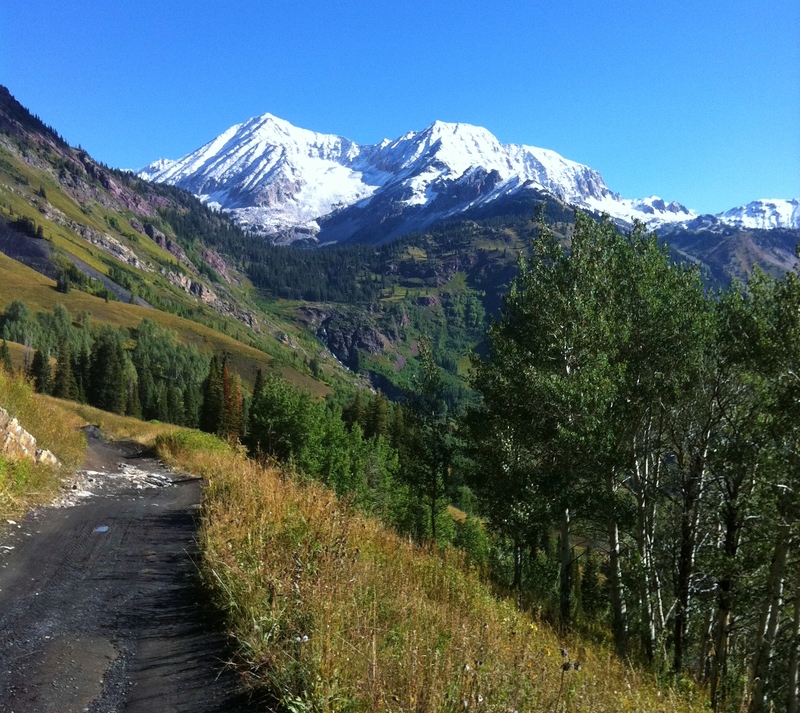 With the temperatures in the 80s in town, we headed up into the La Sal Mountains for a 20 mile run/trek. 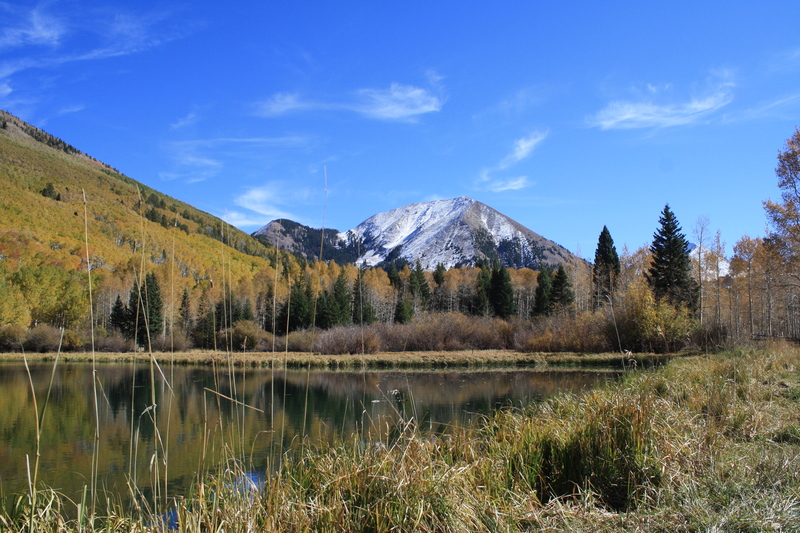 The fall colors are a little behind in Moab making for some spectacular scenery. 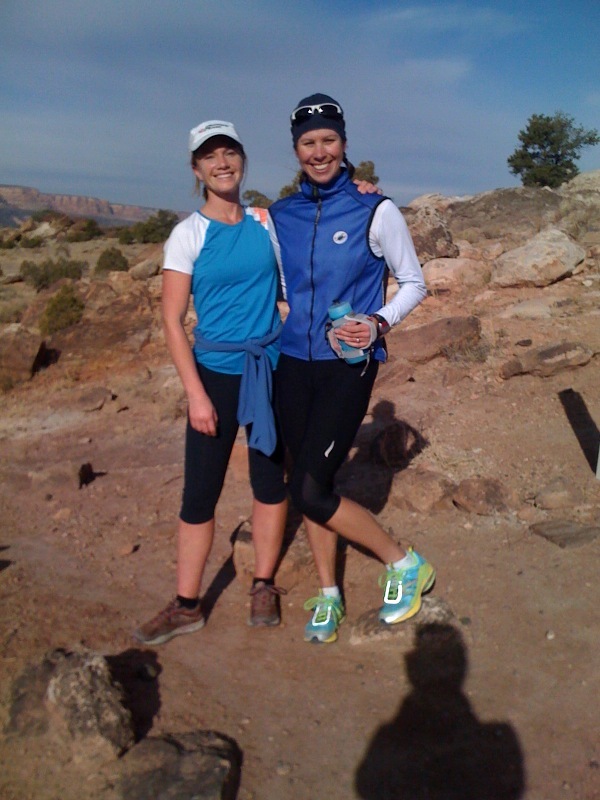 My run/trek in the La Sals brought back many memories of Primal Quest 2006. 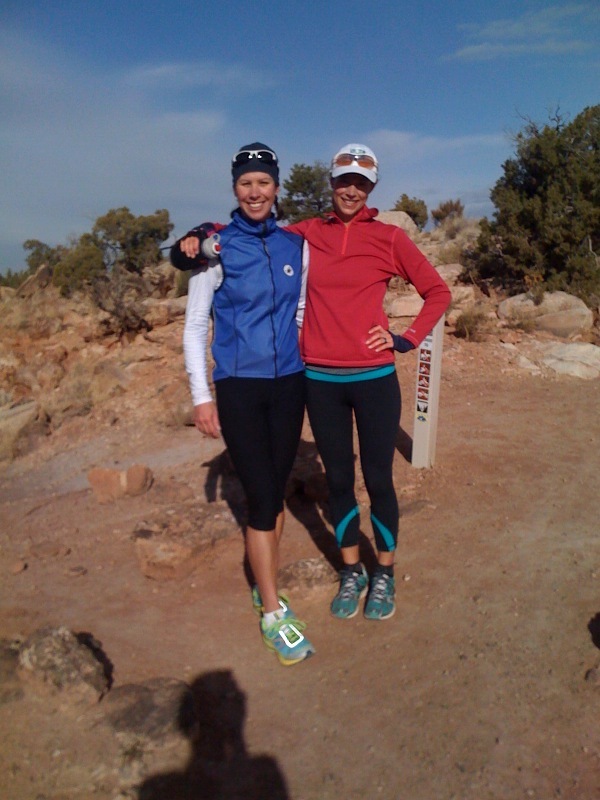 Joy and I ran on many of the same trails and came through Warner Lake as we had in the race. Poor Joy listened to more stories and memories than she was prepared for. Four years ago I raced the Lead King Loop 25K a few months after Juniper was born. I barely survived the race in 2 hours 45 minutes. This year, Elinor, Joy, Wendy and I made a girls day of it and ran the race for fun. None of us felt amazing going into the race. Joy is seven weeks post-partum, El has a nasty cold, Wendy is off the couch and I had a full training week leading up to Sunday. For the first time that I can remember, I had zero race day nerves. Standing on the startline with my best friends as well as Jari Kirkland, Carrie Vickers and Beth Broome, I was relaxed and ready for a fun training run. 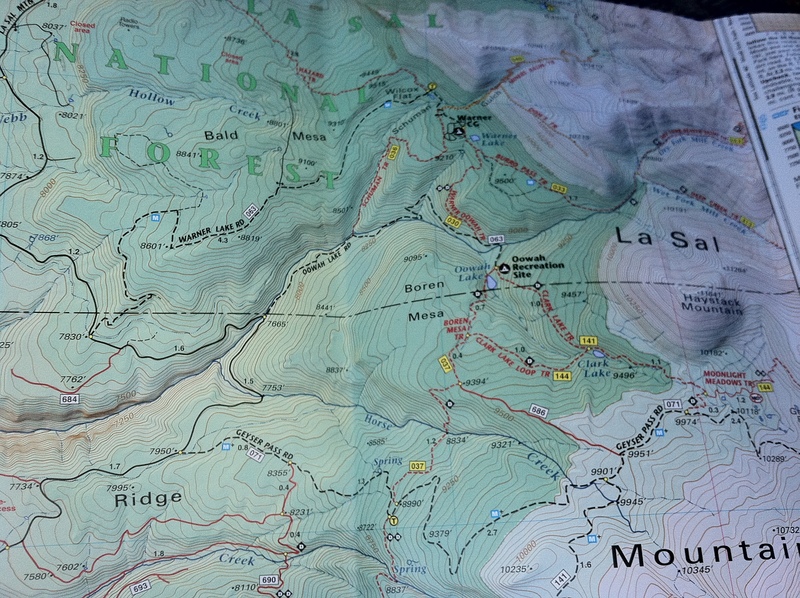 Starting at a comfortable pace, I climbed the first 3,000+ vertical feet in about 5 miles feeling sluggish and heavy. I finally crested the top of the climb to amazing views of snow covered peaks and started to feel much better as my pace went from a 15 minute mile to a sub-6 minute mile for a few fast miles. As I passed the 110 year old Crystal Mill, I realized I would be able to finish much faster than 2007 and possibly close to the course record of 2 hours 19 minutes. I had no idea what place I was in but for once I didn’t care. I was racing myself and enjoying every step. Crossing the line in 2 hours 20 minutes 19 seconds and in 5th place, I was very happy with my morning training run. Elinor finished in 2 hours 40 minutes, Joy just over 3 hours and Wendy finished just under 4 hours after battling major stomach issues. Finishing up the training day with a quick mountain bike ride and I’ve started my training for the adventure race world champs in Tasmania. 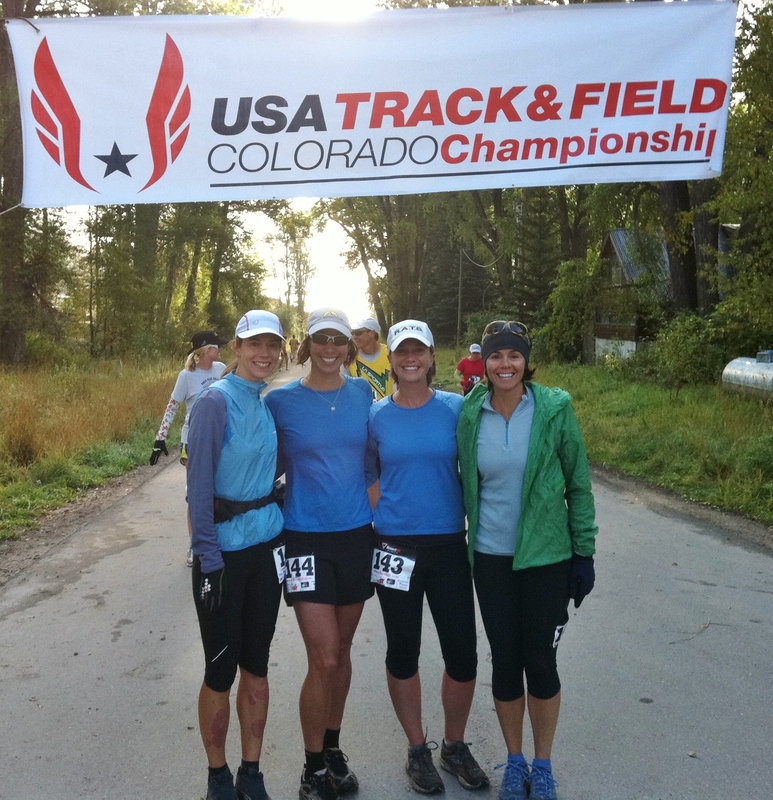 Thanks to my amazing husband, I was able to get away for a trail running weekend with two of my best friends – Elinor Fish and Joy Schneiter. 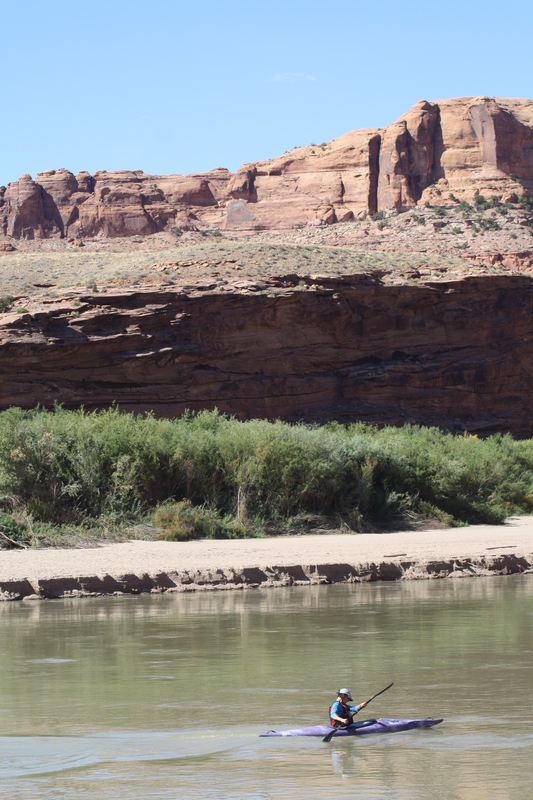 We wanted to stay somewhat close to home minimizing our time in the car and therefore maximizing our time on the trail. 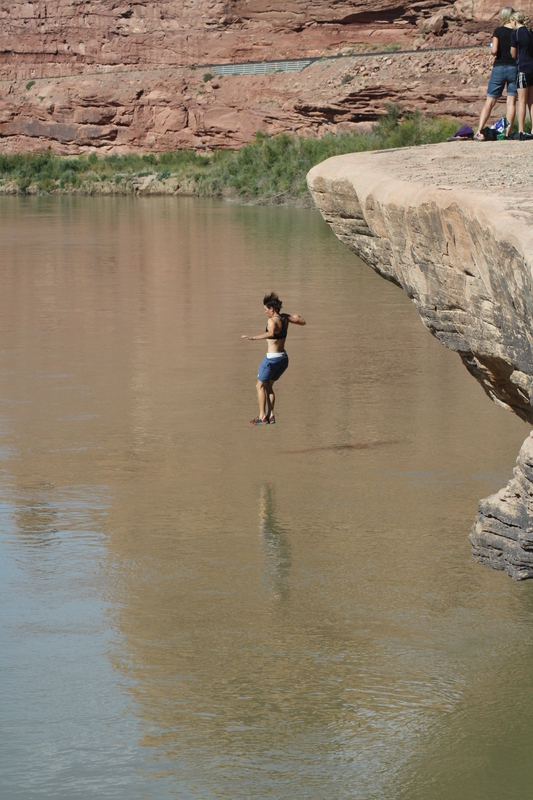 So Fruita it was. I have spent a bunch of time in Fruita over the past thirteen years but most of it has been on my mountain bike. Between rides and after teaching mountain bike clinics, I have thrown in a few trail runs in the area. This time I didn’t even bring my bike. My Newton trail shoes arrived Friday afternoon so I went for a quick road run with the kids in the Chariot to make sure they fit before spending much of Saturday wearing them. Starting on the trail just after noon was perfect as the temperature had warmed up to about 40 degrees and some of the clouds had burned off. 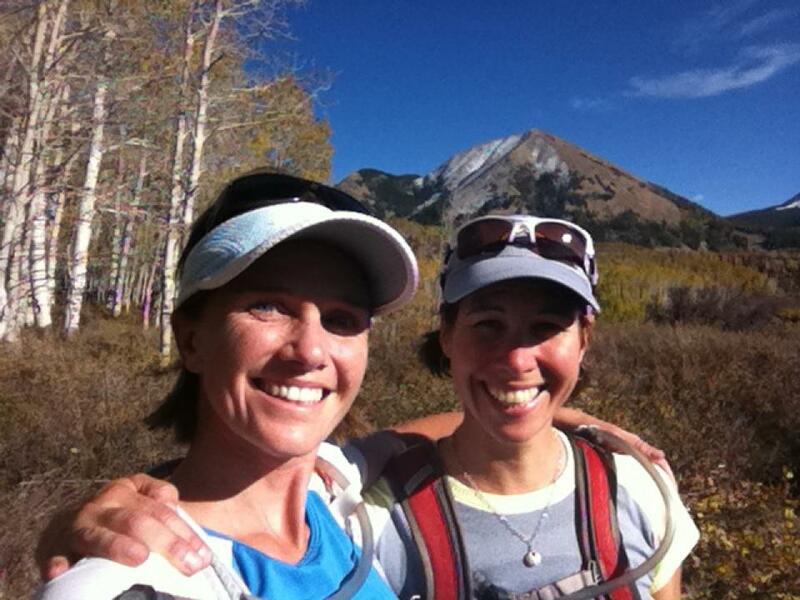 We headed up Moore Fun heading east with Jari Kirkland joining the moms for some gossiping. As Jari headed back for some time on her bike, Joy, Elinor and myself talked nonstop while relishing in the technical running. Finishing up Moore Fun, we continued on Mary’s Loop and dropped down into Horsethief Bench – one of my favorites for riding. Honey Stinger waffle – yum! 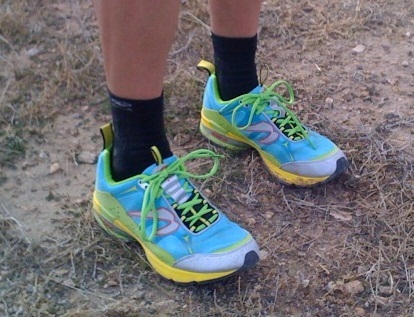 I had brought some old trail shoes thinking I may change out of the brand new Newtons at this point but they felt great so we were in and out of our personal aid station and headed up Mack Ridge. Unsure if we were up for another hour and a half, we decided we would go to the top of Mack Ridge and then decide if we wanted to continue around Lion’s or just head back down. If you know the three of us, of course we kept going. We finished a fun, relaxed 21 miles of awesome technical running in about 3 hours 50 minutes. No records were broken but good times were had by all with the best part still to come – pizza at the Hot Tomato. Wanting to get home to let all the dads get out for some of their own fun, Joy, El and I briefly explored the Lunch Loops in Grand Junction on our way home on Sunday. More amazing trails with miles and miles still to be explored. I guess we need to get back for another moms weekend away! The creepy bug hanging at the car. 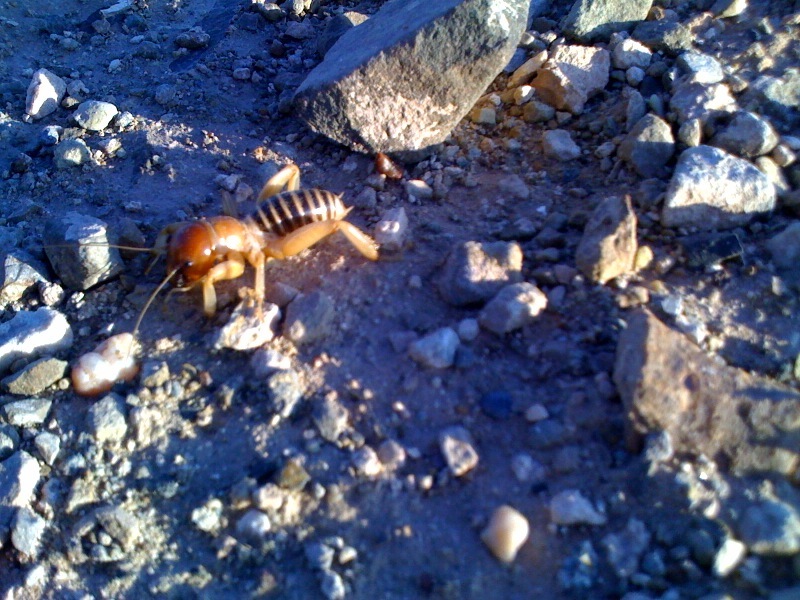 Not sure what it is but I made Joy take the picture because I didn't want to get that close. El running in from Hope Pass to the Twin Lakes aid station at mile 60. Let’s see, it has been awhile since my last post and that’s not due to a lack of things I wanted to say. It has mostly been due to a lack of computer and a little bit from being too busy to borrow another computer. 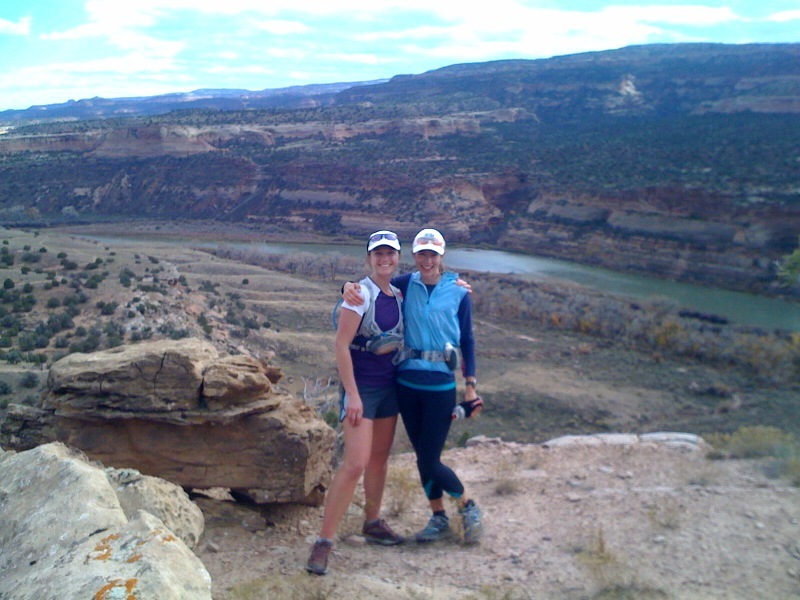 Anyway, a few weekends ago I paced a very dear friend of mine in her first attempt at a 100 miler. 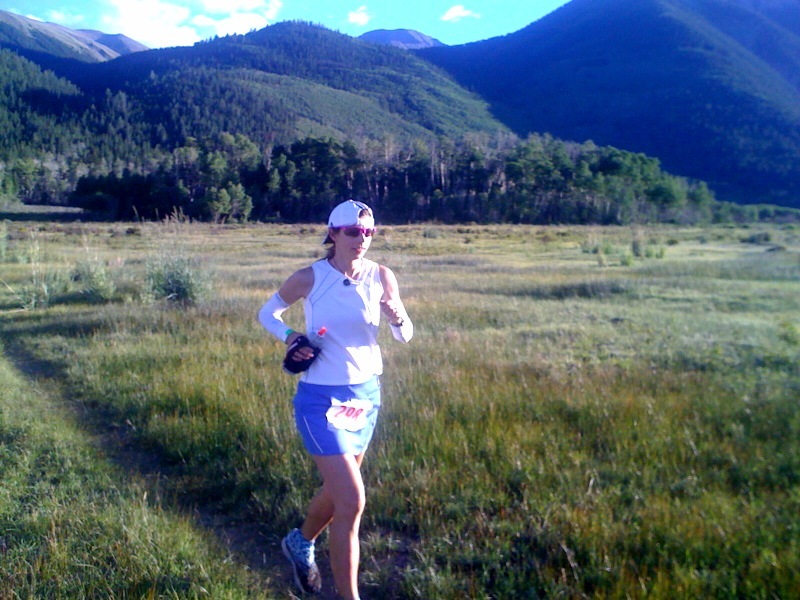 Elinor has been training all winter, spring and summer for the Leadville 100 and was ready to give it a go. Elinor’s training partner Joy, had already raced and finished her first 100 miler earlier this summer at the Tahoe Rim Trail 100. Unfortunately Joy could not pace Elinor as planned so I opted for a slightly longer section of the race to make sure that El had someone with her every mile from mile 50 to the finish (no pacers allowed until mile 50). Moving slightly faster than her projected times, El’s husband Rob called me letting me know I needed to get on the road and over to Twin Lakes for the drive into Winfield. Rob had an amazing aid station set up for El when she arrived at mile 50 hurting a little more than expected. I was extremely thankful I had made it in time as I think it would have been very difficult for Elinor to turn around and go over Hope Pass alone at that point. As difficult as it was to witness my friend suffering, I continued to encourage her to keep moving despite being a bit overwhelmed at the time. We made it over Hope Pass (which was absolutely beautiful for me) and into Twin Lakes at mile 60 to have a quick visit with Rob, Reed (their one year old), El’s parents (in from Canada) and Todd (a Leadville veteran and pacer for later in the race). Despite stressing Elinor out at the time, Reed’s crying was a blessing in disguise as she was too overwhelmed to deal with him so she got up and kept going. We continued on together into the night, me attempting to keep her eating (one Honey Stinger chew at a time) and not falling asleep and El just concentrating on moving her feet forward. As with all races, there are good and bad times and Elinor made it out of a slump and had some great miles of running (and running fast) between Twin Lakes and Fish Hatchery. Even though I have been through these cycles in races as well, it was really interesting to witness them from this perspective. After about 27 miles, I left Elinor at Fish Hatchery where she continued on with Todd and up the Powerline climb passing people the whole way. I know she had a few more low points before she made it to the finish line but she pushed through and showed some amazing will power. One of my motivating speeches for El was to finish this one so she would never have to go through this again but of course it sounds like she’s already considering another 100 miler. 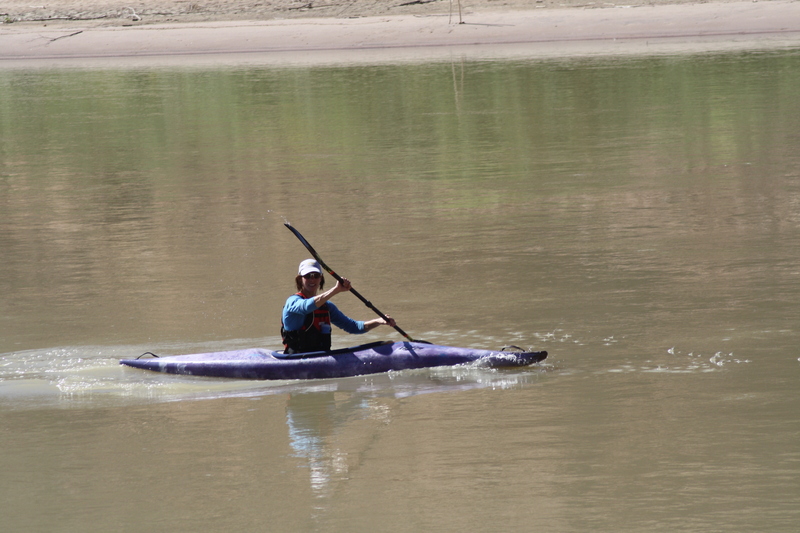 Elinor will have a full recap of her race experience in the November issue of Trail Runner magazine. 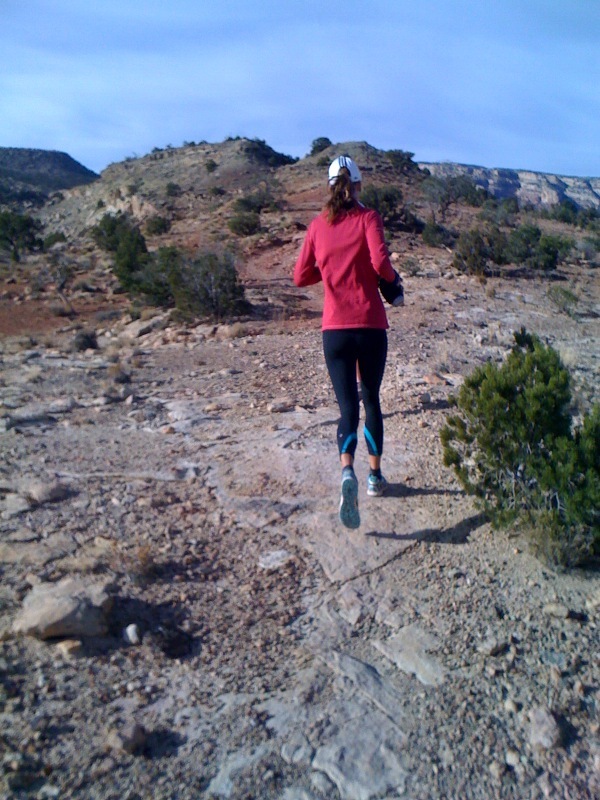 As for me, I have been working on my running threshold thanks to Lindsay Hyman at CTS. Intervals with some great trail runs and mountain bike rides mixed in have gotten me back to a point where I’m starting to feel fit again. I have a little further to go but am looking forward to testing my fitness at a few races in September and October.